New academic year. New class. New book recommendations. Brilliant! I was chatting to my new pupils about what they like to read and what they think I should read next. We talked about my love of David Walliams and I mentioned that I had read all of his books apart from Awful Auntie. About five hands went up – all children offering to lend it to me. I was really chuffed that they were so excited about reading and were showing such generosity. The next day, several copies of the book ended up gravitating towards my desk! What a lucky lady I am! Although I have been busy, as the first few weeks of term can be a bit hectic, the books piled up by my bed have been a bit neglected. However, it’s the weekend and I would like to relax and enjoy some Walliams gold. I I also need something to distract my mind away from my disappointment of the scorch trials film. Yes, I’m still going on about it. 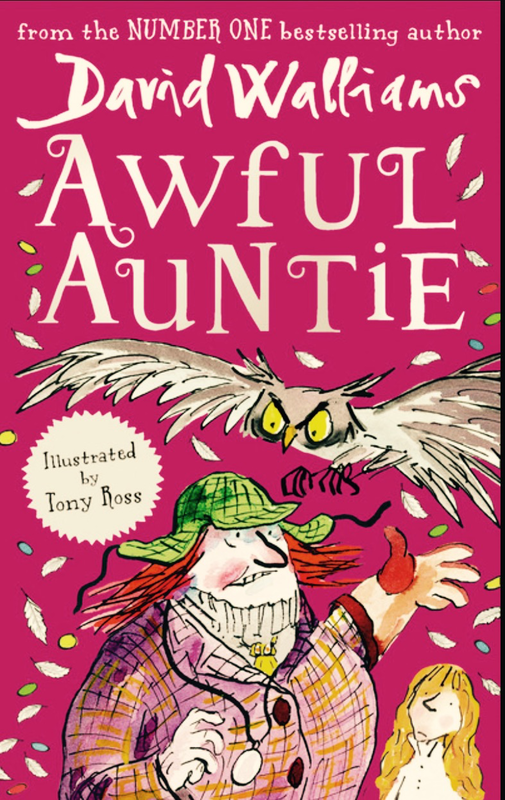 Awful auntie is an amazing book!